Emission markets are one of All Energy Consulting core expertise given our work at the largest emitter American Electric Power. Modeling the emission markets requires game theory and operations research – both those categories are my personal favorite. 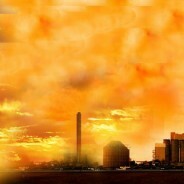 With the Supreme Court reinstating Cross State Air Pollution Rule (CSAPR) in April 2014 and with the D.C. Circuit granted EPA’s request on October 23, 2014,, CSAPR Phase 1 implementation is now scheduled for 2015, with Phase 2 beginning in 2017. 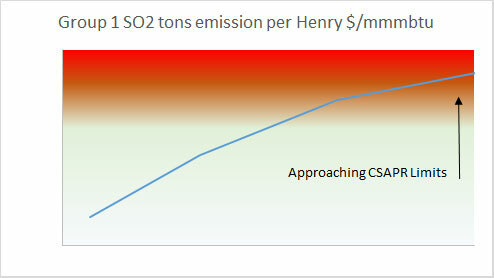 As typical of the emissions market, the initial market over reacted valuing credits way above reality – starting 2015 – 2015 NOx annual and season $250/ton and Group 1 SO2 $250/ton and Group 2 SO2 $450/ton. The market is slowly coming back to reality. One variable to watch is the direct link between the price spread between natural gas price and coal and the value of emissions credit. The smaller the spread the easier to achieve if not overachieve the goals set forth in CSAPR. The key in modeling this system is to run multiple scenarios for the entire system and focus on the end total levels not a particular month. The ultimate value of a credit really is at the end of the season. This is akin to buying a stock option; the ultimate value of your options is when you can exercise that option. Making it slightly more complex is the banking. Therefore in order to truly value the program, modeling the end goal targets beyond year 1 will also be required. We have run multiple scenarios and have computed values for NOx and SO2 along the paradigm of changing events from gas prices to weather. On a high level, the value of NOX and SO2 will be way lower than the current market pricing including accounting for the banking value. 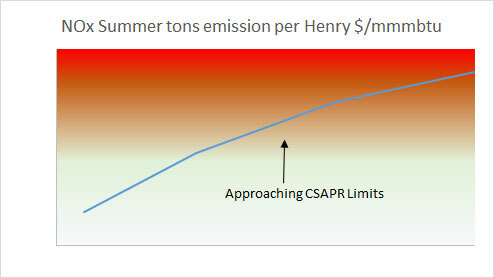 NOX summer is the most constrained versus the other emission credits. In order to make an effective decision in your emission credits please reach out to us to view our results of our analysis and potentially customize a case run for your portfolio. We can help you maximize your credit values. Once again I promise unparalleled analysis and knowledge on this subject matter from me personally, not a person without any industry knowledge or experience in the emission markets. Please do consider All Energy Consulting for you emissions credits analysis – we are here for your success. 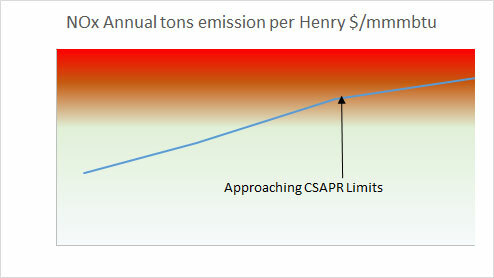 EPA CSAPR does not cover rigs emission.